Star Wars is one of the most popular movie franchises in history. The most recent movie, "The Force Awakens" just became the fastest movie to gross 1 billion in worldwide box office sales. 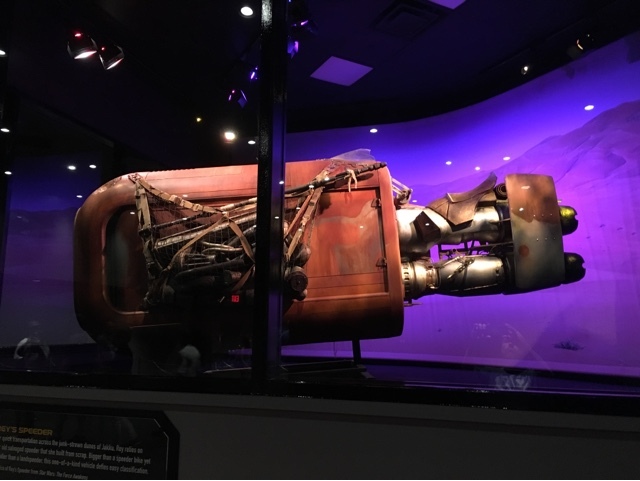 This replica of Rey's Speeder, from that movie, can be seen in the Launch Bay at Hollywood Studios.